Highball, Chartroose Caboose! Thanks to a kind and generous soul in Oregon (who shall remain anonymous), I have obtained a copy of this long, lost movie. 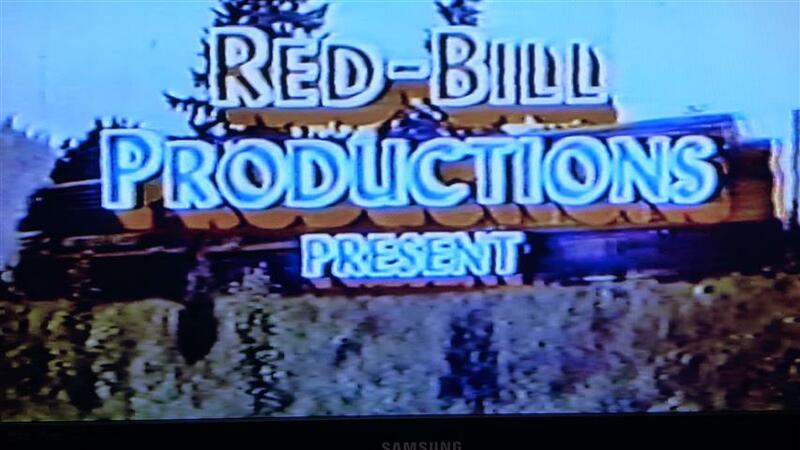 It was taken from a 16 mm print, is in color (albeit faded) and is in “pan and scan” format from the days of VHS. It’s beautiful. 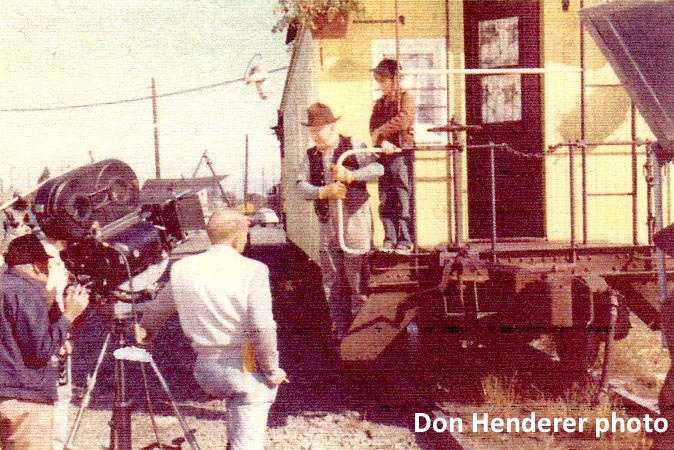 Filmed in Springfield, Oregon, and on Southern Pacific Railroad’s Marcola branch in 1959, The fictional D&M (Denton and Milford) Railroad featured an SP #5116 GE 70 ton switcher (I think that’s the number) and a greenish-yellow SP caboose, both with appropriate D&M markings painted in. 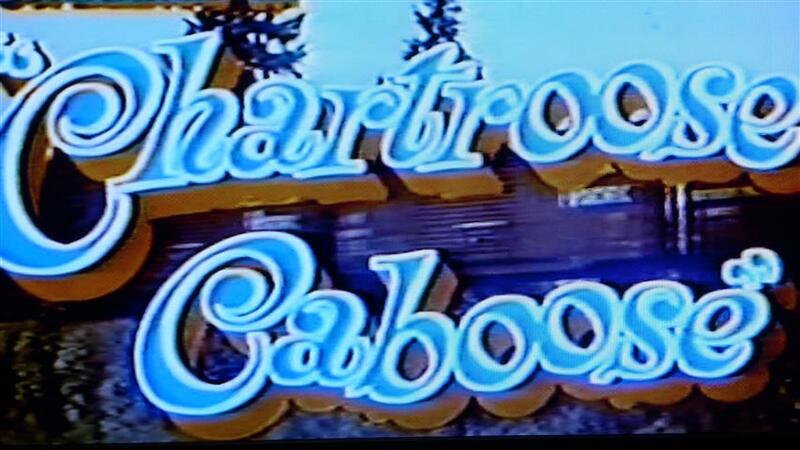 An A-B-A set of SP F units rolls by with a freight in the opening credits of “Chartroose Caboose”. Uncle Joe to the rescue! 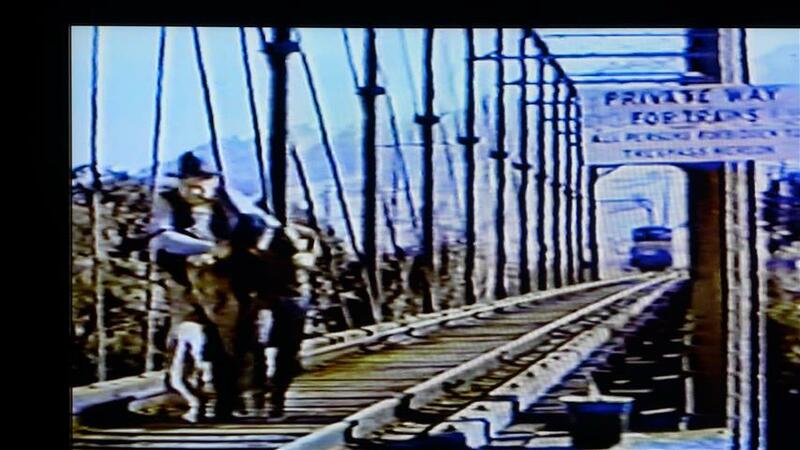 Edgar Buchanan (of later Petticoat Junction fame) hustles Mike McGreevey off the bridge before the onrushing train! Conductor Slim Pickens sneaks up on the Chartroose Caboose to haul it away. Mike McGreevey with an SP outside-braced boxcar. McGreevey chats with O.Z. Whitehead (could he be the millionaire hobo?). Note the SP Baldwin switcher in the background. 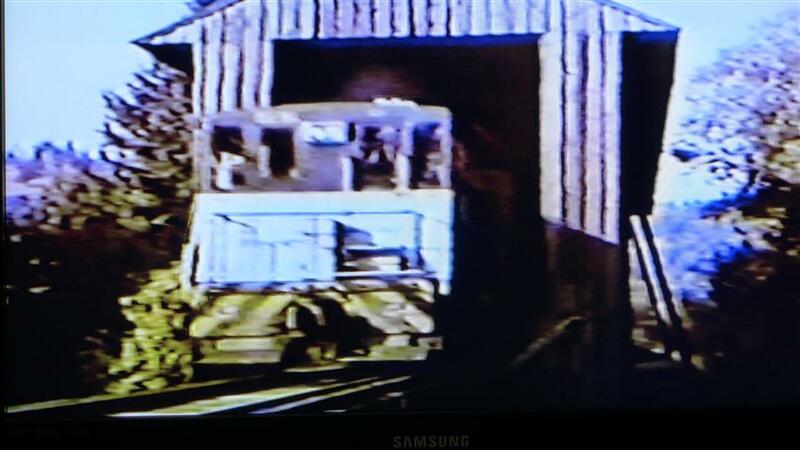 GE 70 ton switcher blasts out of a covered rail bridge along the SP’s Marcola branch line. Ben Cooper and Molly Bee embrace on the platform of D&M #21, the Chartroose Caboose. In addition to the movie, I obtained some color pictures taken by the late Don Henderer in 1959 during production of the movie. Like the movie, they are a bit fuzzy, but a unique record of its creation. 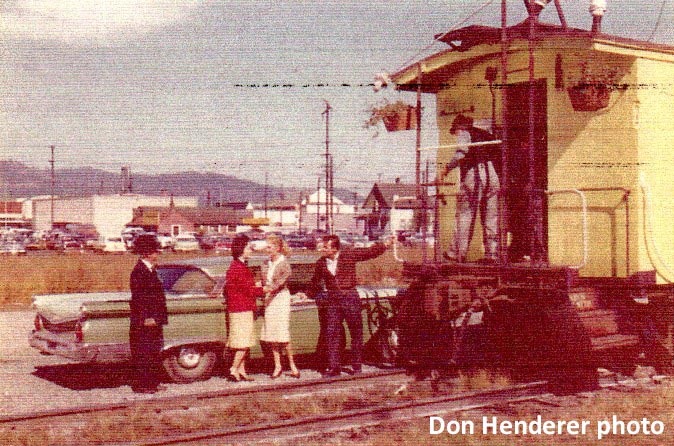 Molly Bee and Ben Cooper perform in Springfield, Oregon near the SP freight depot. 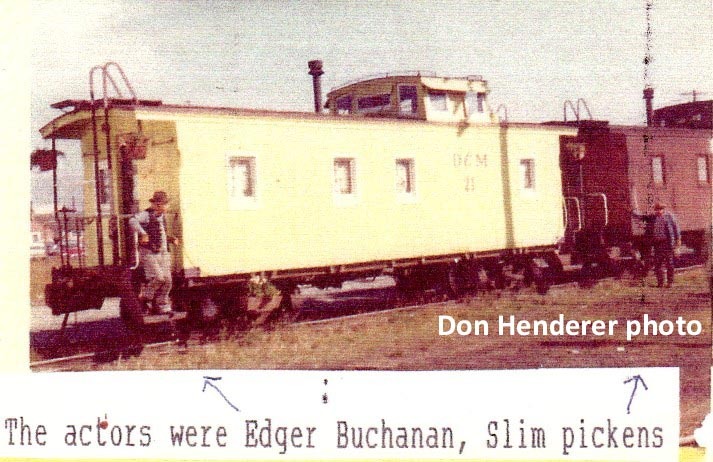 Edgar Buchanan and Slim Pickens with their cabooses at Springfield. 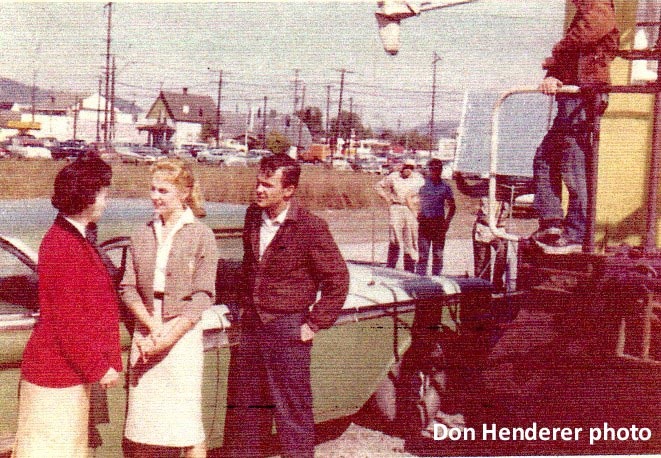 Edgar Buchanan and Michael McGreevey with the film crew. 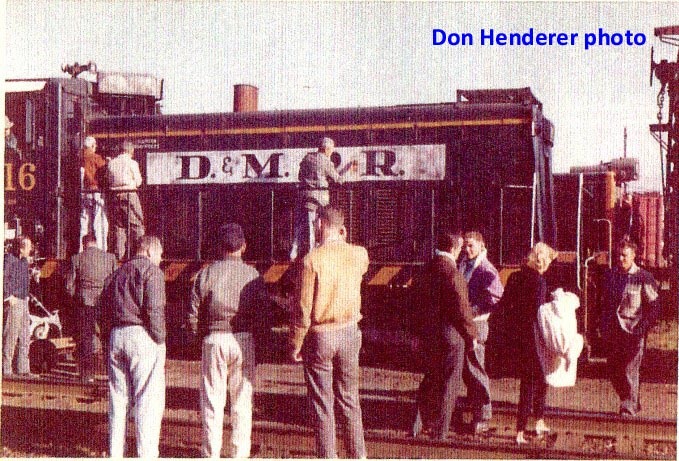 Crew preparing the SP switcher with D&M markings. Edgar Buchanan, Molly Bee and Ben Cooper ride a hand-powered speeder across bridge during filming. For those who haven’t seen the film, the following is a complete synopsis of the movie. So if you DON’T want to know how it ended, stop reading here. Doris Warren (Molly Bee) and Dub Dawson (Ben Cooper) are two young lovers on their way to elope, with the law hot on their heels. They ditch the pursuing cops but damage their car in the process. They spot a freight train rolling nearby (with a beautiful set of Espee Black Widow A-B-A F-units) and try to catch it. They arrive too late but while embracing, who should happen by, but Woodrow ‘Woody’ Watts (Edgar Buchanan) on a handcar. 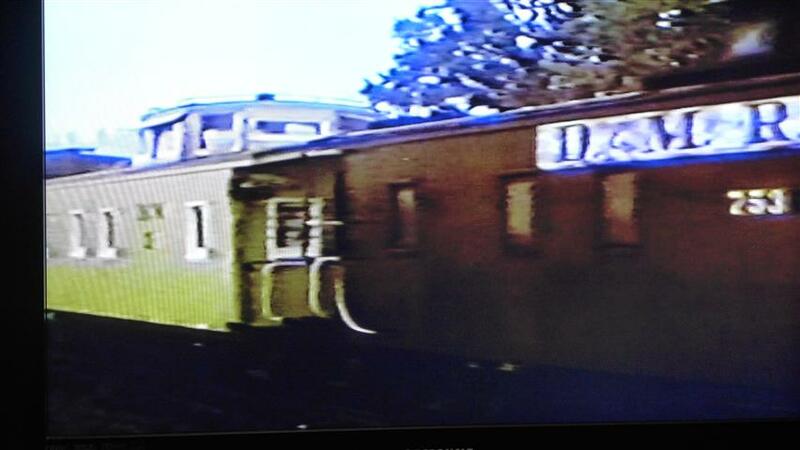 Woody gives them a ride on the handcar and puts them up in his sidetracked chartreuse caboose, D&M #21. 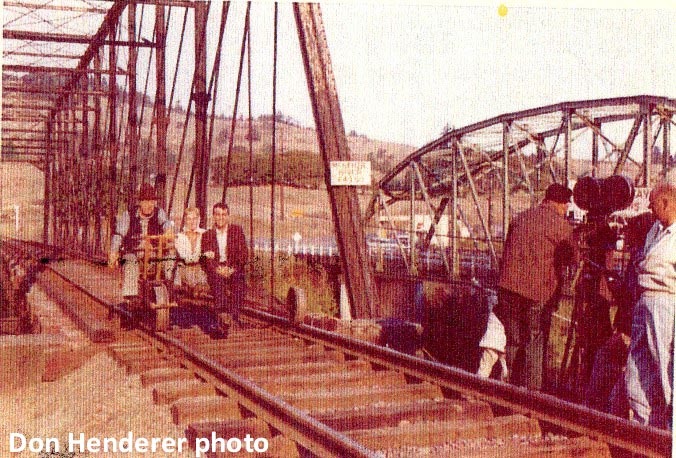 While fetching a pail of water from the nearby creek, Woody spots a young, harmonica-playing boy, Joey James (Michael McGreevey), crossing the railroad trestle overhead. Next thing you know a train is heard approaching and sure enough, Joey gets his foot caught between the ties. Woody comes to the rescue, pulling Joey free in the nick of time as the D&M switcher blasts past in a great cloud of dust. 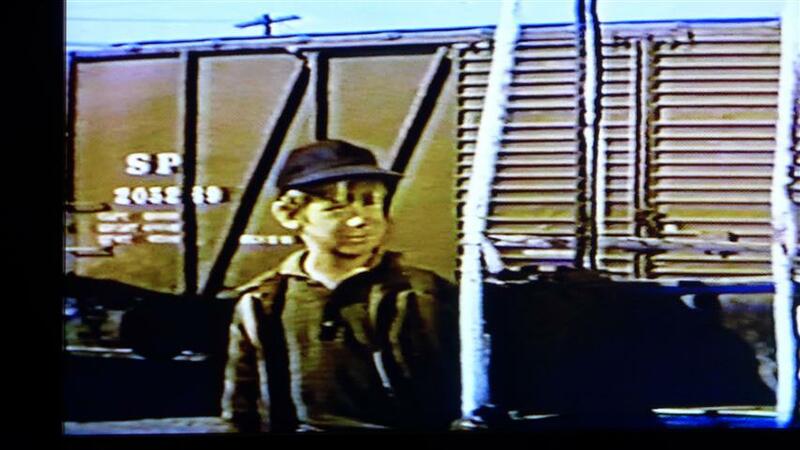 Back at the caboose, Joey spots a man unconscious beside the tracks. 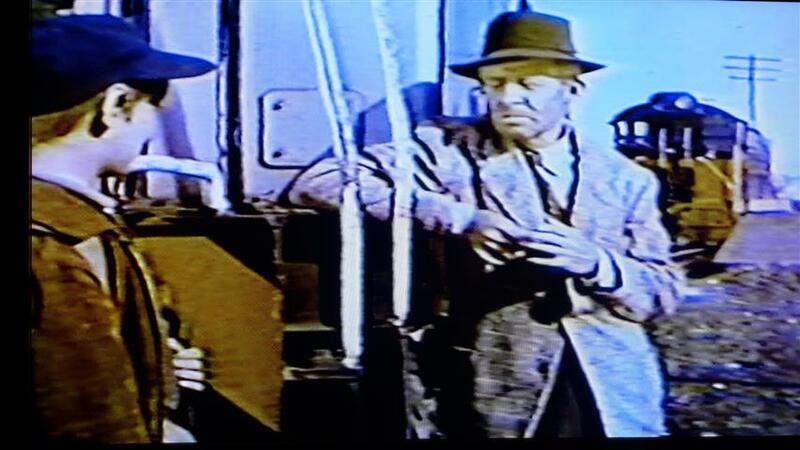 Dub and Woody haul the stranger up to the caboose to recuperate. “J.B. King, Esquire” (O.Z. Whitehead) quickly comes to and joins them all in the caboose. Woody thinks King is the “millionaire hobo” rumored to ride freights in the area. Eventually they all bunk down for the evening. During the night, their slumber is rudely interrupted when a local freight couples onto their caboose. The freight’s conductor Pete Harmon (Slim Pickens) announces he has orders to “pick up every bit of equipment with D&M markings”. The next morning, the train arrives in Denton (Springfield OR). 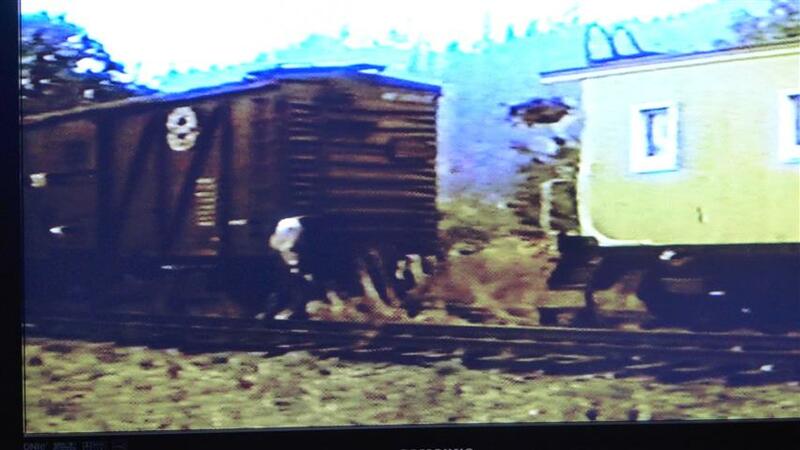 Despite Woody’s protests, the railroad refuses to return his caboose to the siding. Dub and Doris try to find a preacher, but discover their pictures are in all the newspapers, and a search is on for them. With nowhere else to go, they return to the caboose. Joey talks to hobo King who contacts Doris’ Mom, Laura Warren (Kay Bartels) who then drives out to the caboose with Pastor Purdy (Winslow Cuthbert) in tow. Hobo King must have a lot of pull with the railroad, because he also gets them to agree to take the caboose back to Woody’s siding. Everyone boards the caboose (except for Hobo King who waves goodbye from a passing freight) as they set off for Milford. As they roll out of the yard, Doris’ Dad “Mr. Warren” (Mack Williams) drives up too late to stop them. He chases them on paralleling roads, getting stopped at each crossing as the train blasts past. Meanwhile on board the caboose, Dub and Doris prepare to get married. 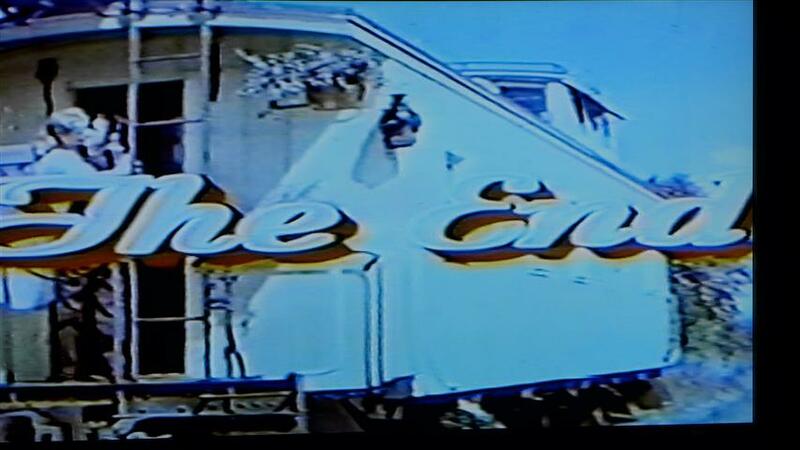 Mr. Warren finally catches the train as it slowly passes a station and he boards the caboose. He tries to stop the wedding until he sees Doris all dolled up as Woody plays the wedding march on the guitar. The next morning the train performs a “flying switch”, neatly placing Woody’s caboose back on his siding. Dub and Doris decline Mr. Warren’s offer of a “family vacation” and instead honeymoon on the Chartroose Caboose at Woody’s invitation (with Woody discreetly visiting some friends in town for a week). This entry was posted in Uncategorized and tagged Ben Cooper, Chartoose Caboose movie, Chartroose Caboose 1960, Edgar Buchanan, Lost Movies, Molly Bee, Oregon Railroad Movies, Southern Pacific Railroad. Bookmark the permalink.